Are you on a journey to learn Chinese cuisine? I warmly welcome you to read one of the following Chinese cookbooks to make your journey simple and hassle free. I read book for many reasons, not just to entertain myself though. Often I take on new challenges depending on my mood. As I was interested in learning some easy Chinese recipes at home, I bought few cookbooks and started exploring the hidden beauty of Chinese cuisine. Before that I had to search a lot of pages on the web to learn Chinese cuisine. My experience was not that much satisfying. The recipes I found were not fully integrated with useful contents and illustrations. Poor Experience! Yummy Chinese dumplings! Photo Credit: Charles Haynes at Flickr. Since then I used to believe that if someone wants to learn recipes of various kinds, seriously they must rely on quality cookbook. To be honest, it makes a lot easier for you to learn every recipe from a recommended Chinese cookbook. Though, it is impossible covering all the regional cuisines in one single cookbook. Please bear in mind that, China is the largest country in East Asia with its 22 provinces. Therefore, variety of local delicacies are scattered throughout the country. 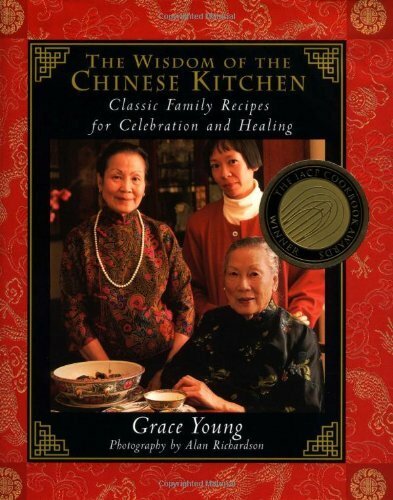 Today, I would share only the top 10 Chinese cookbooks that are worth reading and helpful to you. I assume, you went to at least one Chinese restaurant in your life and fell in love with the delicious dishes you ate there. So, are you curious of it and looking for a Chinese cookbook to develop your skills on Chinese cuisines? 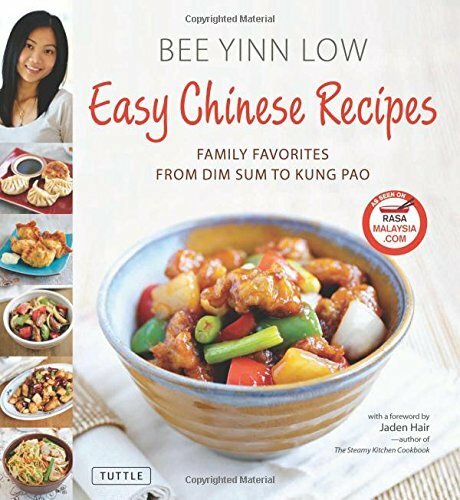 In “Easy Chinese Recipes” – the author Bee Yinn Low has revealed how to learn traditional Chinese recipes in a very simple way. You don’t need to search online no more because this is the treasure you have been looking for. Here you will be learning most of the favorite Chinese recipes such as sweet-and-sour pork, crispy shrimp dumplings, Kung Pao chicken, home-style chow mein noodles, Mongolian beef, various types of Chinese soups and many more. I think this is one of the best Chinese cookbooks that shares how easily one could learn Chinese cuisine within in a very short time. “The wisdom of the Chinese Kitchen” is not just a typical cookbook but much more than that! It tells you various biographical stories/memories based on culinary traditions of the Author’s (Grace Young) Cantonese family. 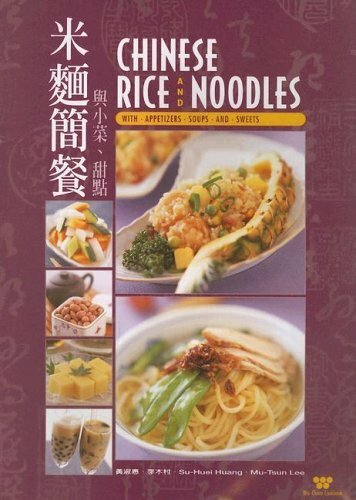 A wide range of Chinese Cantonese recipes can be found in this cookbook. And this makes me recognize it as the best Cantonese cooking cookbook! The use of different form of techniques and ingredients make Cantonese home cooking very attractive especially for those who like eating Chinese foods. The book is divided into three parts. The first part “Mastering the Fundamentals” provides instruction on the arts of steaming and stir-frying; the preparation of rice, braised dishes; and the fine arts of chopping and slicing. The second part “The Art of Celebration” provides information on the more elaborate, complex, and meaningful dishes – such as Shark’s Fin Soup and West Lake Duck – that are usually made with rare ingredients, and sweets such as Water Chestnut Cake and Sesame Balls (Jian Dui). And the third and final part “Achieving Yin-Yang Harmony” reveals the many Chinese beliefs about the healing properties of ginseng, ginkgo nuts, soybeans, and various vegetables and fruit soup preparations that make our body healthy enough. Learn all the secrets of Chinese stir-frying, including how to cook steamed cooking-egg custard, sponge cake, cabbage noodle soup, roasted duck and chicken, delicious Chinese New Year dishes and many more. Don’t wait anymore; learn everything that Grace Young teaches you through this cookbook. How to keep the body in balance? Needless to say that there are many ways, don’t you think so? If you are concerned about “how to lose belly fat,” please read Wok Wisely. The cookbook is originally assembled by the Dharma Realm Cookbook Team in Chinese for a Buddhist monastery. It comes with 56 recipes that surly can nourish the mind, body, and spirit. 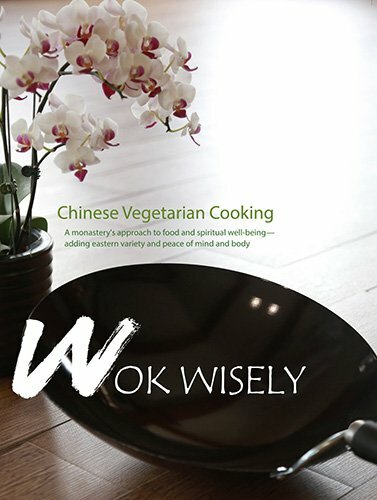 In my opinion, this is the best Chinese vegetarian cookbook. I have this on my bookshelf along with several Japanese vegan cookbooks. It has many beautiful photographs with useful tips that you require to try all the 56 vegetarian recipes. Without doubt, each of the recipes is very simple and clearly outlined. I have tried several Chinese soup recipes out of the book which made me very happy. I won’t tell all the recipes that you are going to find there because I believe it would make you very curious. And remember this is not an average cookbook you buy but something very special to keep your body in balance. 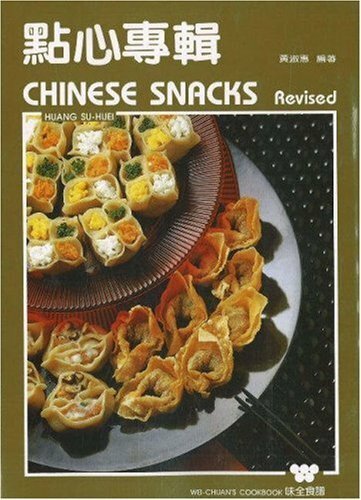 If you are looking to make some authentic Chinese foods at home, this is the book I could recommend right at this moment. 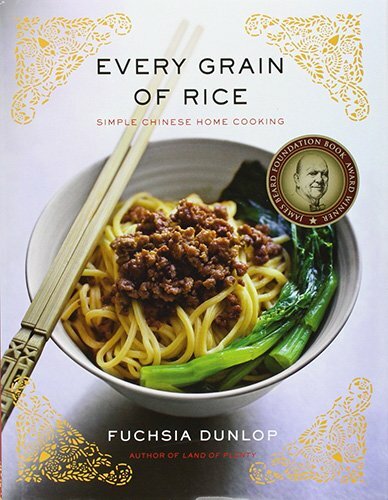 The book – Every Grain of Rice is inspired by the vibrant everyday cooking of Southern China in which vegetables play an important role with small portions of meat and fish. People in Southern China usually eat meat and fish for flavor adding various local grown vegetables. Every Grain of Rice comes with various mouthwatering Chinese dishes such as General Tso’s chicken, Smokey Eggplant with Garlic and Spinach with Sesame Dressing, Stir-fried Black Bean and Chilli with Sichuanese Green Soy Bean Salad and Smacked Cucumber in Garlicky Sauce, Ma Po Tofu, Kung Pao Chicken, Steamed chicken, Dumplings, Mushrooms, Fish and seafood recipes and many more. Make sure that a quality Chinese cookbook like this should not be missed when learning the art of Chinese culinary. It is an excellent cookbook for beginners, so why are you waiting for?! 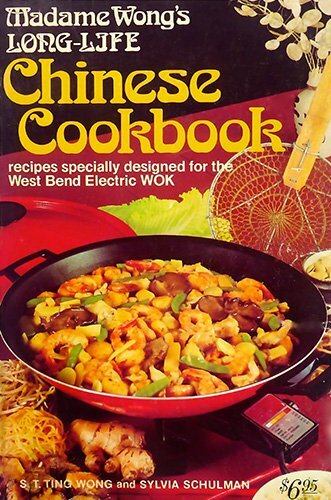 This is one of the classic Chinese cookbooks I have ever read in my life. I think it is a must read Chinese cookbook if you really want to immerse yourself into the Chinese food culture. Almost every recipe in the book is very simple even though when a recipe sounds to you very complicated Madame Wong’s unique home cooking style would deliver the best result. You would hardly say that “it is complicated.” That’s a simple magic performed by Madame Wong with simple cooking ideas. If your intention is to learn various Szechuan style recipes then I highly recommend this book to you. In fact Szechuan dishes are famous for its hot-spicy taste as well as the numbing flavor of Sichuan peppercorn that is rare in other regional cuisines. You can bring authentic Chinese food to your table just by learning recipes from this great cookbook. Highly recommended! Buy here. Stop ordering Chinese takeout; it is time for you to know the techniques and recipes to make it at home. 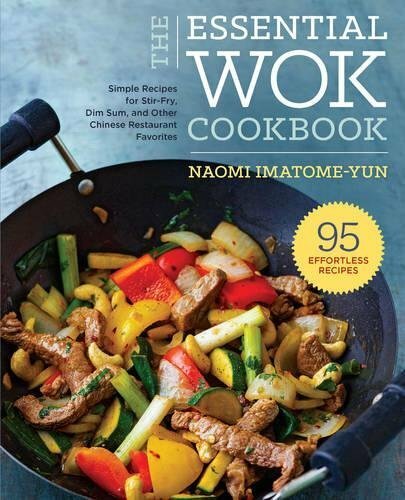 This great wok cookbook guides you a better way to prepare the Chinese takeout recipes at home for your family. Buy a mighty wok along with this cookbook and gather the ingredients you need then start making delicious recipes out of the cookbook. Steamed white rice, chicken chow mein, egg roll, wonton soup, dumpling recipes, easy vegetable stir-fry, sweet chili shrimp, beef with broccoli, various sauce recipes, and homemade sriracha are just a few examples of the recipes I could mention here, in fact there are more you can find in this beautifully illustrated cookbook. You will also be learning how to make a dish healthier and make it quickly within 10 minutes or less. One of the things that interest me the most is that you can make recipes spending on ingredients less than $10. This is a plus point for people who are tight on cash. Get it here and start making all the recipes one by one. Buy the book here. Hunan is a beautiful province, blessed with beautiful nature and local delicacies. The dishes of Hunan are famous for its hot-spicy taste. You are not a foolish person who would ignore this classic Hunan style Chinese cookbook, get it quickly! The author – Henry Chung provides a lot of information on various recipes with step-by-step instructions which would seem to you pretty exciting to try out of the book. I know you would try it after reading few recipes from the book, I bet you! Go, get some ingredients from the local store and be prepared to cook some. Except learning the recipes you have a big opportunity to get to know about Henry Chung’s friends and family and customs of Hunan province. Learn the ideas of making Chicken salad, Onion cakes, Shredded Beef, Shining Noodles Soup and other notable Hunan dishes. 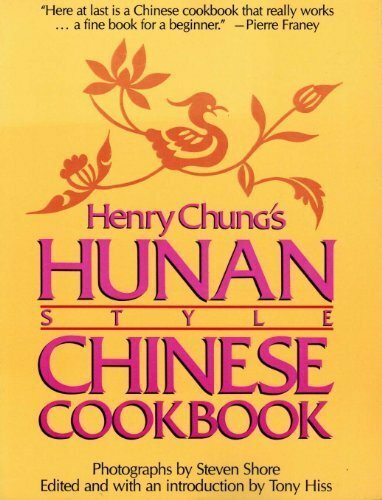 Don’t miss this classic Hunan cookbook. When I visited Beijing for the very first time, I did try variety of Dim sum dishes with tea in a local restaurant there. Their tastes were incredibly yummy. This is one of the popular ready-to-serve dishes in Chinese cuisine. Have you ever tried it before? Making Dim Sum is not a daunting task, it is very simple! In Dim Sum, you can find more than 60 carefully crafted, authentic recipes, each illustrated marvelously. The book is packed with lovely photos, delicious recipes, and useful information. 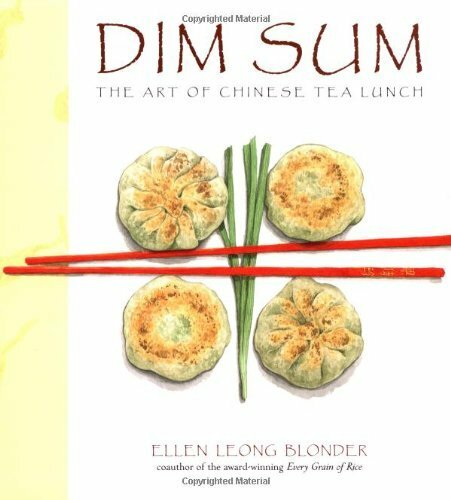 Anyone searching for making real dim sum recipes at home may find this book surprisingly helpful. Each of the recipes you read in this cookbook sounds very interesting to make. 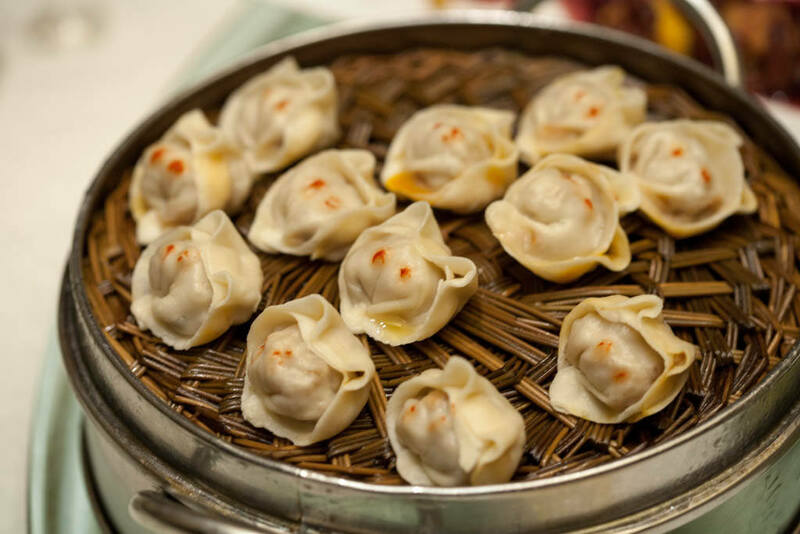 It includes most of the popular dim sum dishes including steamed dumplings, boiled and pan-fried dumplings, pastries and desserts, how to fold dumpling wrappers, bread and backed dishes, practical advice on designing a tea lunch menu, and so on. In addition, the book also features the vegetarian versions of the same meal. “Wei Chuan cookbooks are great” – this is what my aunt says to me. I admit I don’t own many Chinese recipe books but I do have some which I adore. Unfortunately, I don’t own this cookbook but I read it once. The writing style is pretty simple and you can easily understand every recipe, so don’t worry at all. “Chinese Rice and Noodles” – comprises of is a collection of rice and noodles recipes from Canton, Szechwan, Shanghai, Beijing and Taiwan including dozens of recipes for appetizers, soups and sweets. There are many recipes which are perfect to have during birthday or Christmas Eve. You will get familiar with the Recipes like Hainan chicken rice, backed seafood rice, red cooked pork, chicken sesame noodles, Taiwanese fired rice, double face golden noodles, Taiwanese fired noodles, Chinese chicken salad, Cantonese BBQ pork, creamy roasted black sesame, boba milk tea, taro tapioca with coconut milk, almond jello and many more. I hope every recipe that you try out would be delicious – wish you all the best. Everyone likes eating snacks, what about you? I won’t compare the taste of Japanese to Chinese snacks here because in my opinion they both feature a wide range of delicious healthy snacks. However, it is the best Cantonese dim sum cookbook you would ever have. You can find dim sum at many Chinese bakeries located in a Chinatown. You can learn making a wide variety of traditional Chinese snacks such as Xiaolongbao (Juicy steamed buns served in a traditional steaming basket), rice-flour cakes, rice pudding, Chinese pies, wonton soup, moon cakes, steamed bread puddings, egg rolls, cookies, coconut tarts and many more. In fact these are the snacks that suit best for any festivals and celebrations. If you are going to have a party then you can learn making at least few from this books which you think are the best. The book is illustrated with beautiful photographs including clear instructions on utensils, ingredients, and preparation steps make recipes easy to follow. Have you read any of these cookbooks?